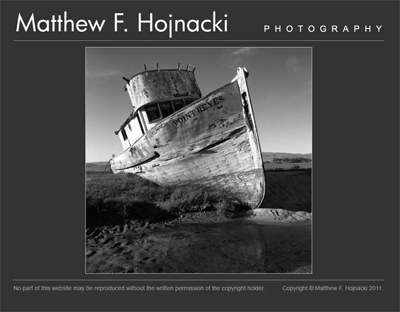 New Website for Matthew F. Hojnacki Photography Complete! Today I’ll be shipping Mary & Caty to their new home in Texas. I’m quite sure they’ll like it there. Well, better warm up that printer, and get some cardio in this morning. Happy Wednesday! the new FLYoung Studio North? My more graphic (and masculine) counterpart has me dreaming of a site overhaul for the fine art side of things…but alas, one step at a time. Just look at Nick’s fine display of my portfolio? So crisp, and well thought out. We have big plans for things, exciting ideas on the horizon, and new projects in the works…so be sure to check out the new FLYoung Studio North. Oh and pretty-pretty-presto-please! Spread the word that we’ll be offering the most cost effective web design around to help the small business owner…don’t let the struggling economy prevent you from getting the website you deserve! Today was one of those days…I woke up to a slew of computer problems, spent a good 45 minutes sitting in traffic, realized I have officially bit off more than I can chew with commissions this year, and my printer ran out of ink. Thankfully, Nick perked me up his version of the Vayda 2008 Christmas card…Check it out!